One of God’s most astounding gifts to us in Christ is that Christians can experience joy in difficult situations. In this series, Dr. R.C. 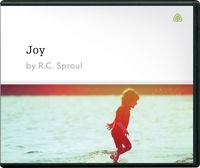 Sproul discusses the biblical concept of joy. With compassion and understanding, he shows that God provides a time for mourning, but it is not the worldly sort that leaves you bitter and without hope.